In 2018 we participated in Linear Appraisal for the 2nd time, and milk test for the first time. We learned a lot, and though we didn't have as many of our girls get milk stars as I had hoped, I know that it was in large part on me, and not them. Still, we had 3 does receive their Superior Genetics awards in 2018, and once we send in our dry sheets for milk test we will have 2 that earned stars. 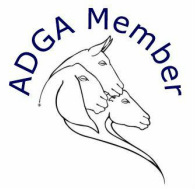 In 2019 we are planning to attend the ADGA National Show in Redmond, OR, so have decided not to participate in milk test this year. We do hope to at least do a one day test, for a snap shot of production. We have applied for Linear Appraisal again this year. It will be interesting to squeeze it in, since we are on the border of 2 areas, so could be set to do appraisal right before Nationals, or right before our local county fair. I first got goats when I was in junior high, and fell in love with them, though I only had them for a few years. When my husband and I moved to a place with property at first I got a horse, since I've had those most of my life. But I realized I wasn't a "horse girl" anymore; I was a "crazy goat lady". So, the horse left, and in the spring of 2009 I got my first Nigerian Dwarf goat. I started with a couple of unregistered does, and things snowballed from there. There have been ups and downs. For a few years there I had the goats, but between having my daughter in 2015, and just life in general, I wasn't able to be as heavily involved as I wanted to be. We've been doing 4-H with the goats for years, and showing open class as well. I'm trying to attend at least one sanctioned goat show each year in addition to our local county fair. If people ask me now how many goats I have, I don't have an exact number. It changes constantly. My son has a couple that are his, as does one of my younger sisters. And my daughter has demanded her own as well. My husband doesn't have a lot to do with the goats, but he supports my love of them. It's a family affair. And thou shalt have goats milk enough for thy food, for the food of thy household, and for maintenance for thy maidens.